Heal the trauma or raise the energy? I had the privilege to work with a wonderful client recently, a new trainee EFT practitioner, with interesting symptoms. She was very brilliant in her professional work, able to hold her focus in her job but disconnected easily in all other areas of life, finding it easier not to care about anything. She suffered alot form boredom. I noticed this playing itself out in the training course, as she zoned out and appeared not engaged or with us at times. She wanted to find a solution to this, as she felt she was not really alive and living her life, and wanted to feel happy and enjoy her life but she had been this way for years. We actually started with a conventional EFT session scheduled after the training, and I explained that when we disconnect its often because its uncomfortable to engage and stay focussed as we are taking energy into the energy body when we do that. I asked about previous stress. There was a lot that she didn’t want to look at but as we talked she opened the subject of the time of her mother’s illness and passing and how traumatic in many ways that whole period was for her and all the family. After telling some details of the story we tapped a couple of rounds to de stress as it was a very emotional story and I asked her to start again to tell me the beginning using the EFT Story Protocol. We stopped at the first signs of stress, hearing the news from her brother about her Mothers illnesses. We tapped for this moment which was a huge emotional shock that she hadn’t really processed at the time and when she felt relaxed, as it took some time, we discussed a way forward for our sessions to work through healing these traumatic and important events in her life with the hope of creating some inner space to allow her to be more open and start to handle life again. So we agreed to meet again for 2 more sessions. The client did appear to be more relaxed in general with a softer demeanour after the session though she was a bit tired. In between sessions she attended a Positive EFT workshop. I want perseverance, to be able to see things through. She scored which -8 on the SUE scale. Her face started to smile and her energy started to lighten up as we got into the positive side of the SUE Scale. We persevered to a +10 on the SUE scale, and she felt light and really happy. So did I. Now the interesting thing was, during the whole day of the workshop, she was fully engaged. She didn’t zone out or disconnect once. And she was happy. We were all energised and happy during the great positive energy day. The client was looking feeling and behaving completely differently from the previous day. She was a different person completely. I asked about the planned session the next morning to work on healing the events of her Mothers illness and passing. She said, I feel so good, and I’m actually already connecting more and staying engaged now. I noticed that all day. I’m not sure if I need to do it now. She asked me, having also just attended the Energy EFT Master Practitioner Training, did Positive EFT just cover up the injuries or heal them? since she felt so good now, and the symptoms of disconnection and boredom were gone, yet she hadn’t finished healing the bereavement of her Mother. This is a very good question, I said, creating much debate in the EFT community at the moment. This is the way I observe and understand it from my own personal and professional experience so far with EFT. I think of the energy system as a channel for handling the energies of life. When we have flow we feel good, its like water is flowing freely in the channel. When we have stress and unfinished events blocking the energy system I think of those like rocks and boulders blocking the flow of water through the river channel. When there is only a little water flowing, there are big waves caused by these obstacles as the water flows through, turbulence, like our negative emotions in our blocked energy channel. So we can do 2 things. We can clear out the rocks and boulders, and this way the flow becomes smoother and easier. Thats what we do in traditional EFT by healing and releasing blockages in the energy system which restores flow. Then we look at increasing the energy flow itself, which is like more water flowing in the river channel. 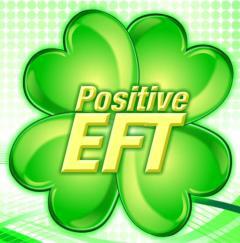 Positive EFT works differently. Here we let the rocks and stones be where they are and we start by increasing the energy flowing into the channel, increasing the water flowing through. Then two things can happen. Either the water level rises enough to cover the rocks then we no longer experience the waves and turbulence, because the flow is strong enough. We experience that we can feel good and handle life well, even though we still have this obstacles deeper in the energy system/river bed, but we still have a good life anyway, while we maintain a good flow state. The other thing that can happen is, if we have enough water flowing or its directed in the right way, this could be like having the right positive remedy or antidote to the problem, or just bringing enough energy in, then the rocks and obstructions can actually get moved through and out. Ie. we can experience actual healing of energy body stress, the blockages dissolved and flow away. I further explained, this is in fact how healing through love works. If we put any energy blockage in the presence of love for long enough it just dissolves and melts away. The positive energies we invoke and build with Positive EFT are all aspects of love, aspects of the greater flow of the energy of life. Sometimes we just need the right energy remedy and its enough to dissolve and heal. Sometimes its building up enough energy flow to carry the blockages away. So this does give us two valid ways to work and a new option, that we can increase our energy flow states to feel better and have a more positive life, without having to delve into the past to heal and remove all the blockages. Having said that, when we do decide to explore these events, we do reconcile and heal and transform and gain great spiritual growth and learning so we may even choose to do that, not just to heal the pain but for our spiritual growth. But not everyone wants to do that, and we certainly don’t have to. It depends on our own objectives when we come to EFT. That seemed to answer the clients question and she went off having happily cancelled her trauma healing sessions, as she was feeling so happy light and energised after her Positive EFT, happily engaged in her new work and all the new possibilities opening up to her with EFT. I reflected on my observations. She was in fact the very example of the explanation I had given. Sure, she had lots of traumas blocked in her energy system, which were causing the original symptoms of disconnection she had before. And starting to heal was a start of change for her. But Positive EFT had lifted her state to a high level, and in this flow state, those symptoms had all gone. Hats off to Silvia Hartmann once again for her vision and innovations which are so spot on and right once again, proven out right here again by actual results and experience.